Given the unprecedented amount of press, attention and funding flowing into EdTech startups, it’s important to reflect on the progress that’s been made and where EdTech, as a field, is going. While EdTech has been around for as long as schools, its hold on the public consciousness has been propelled by the rise of MOOCs, or massive open online courses, that promise to provide education access to all through digital technology. In fact, when one thinks of education delivered digitally, one thinks of MOOCs. Here, we pose a question that hasn’t been asked often enough in EdTech circles: Does digital technology actually facilitate skill acquisition? As we’ve journeyed nearly a fifth of the way into the new century, attention in education circles has shifted toward “21st century skills” which put more emphasis on skills that enable individuals to succeed in their careers and personal development. Learning is increasingly more about practicality, application and sustainability rather than rote learning, exams scores or standardised tests. The purpose of learning has become more about acquiring skills. The purpose of learning has become more about acquiring skills. We see English language learning as a crucial piece of 21st century skills, particularly if we are to foster collaboration and communication among a diverse world population. Thus, it is important to consider what kind of teaching will best facilitate skill acquisition in language communication. Early usages of digital technology in education have tended to favour passive receiving of content knowledge on the part of the learner. This is evident in the MOOCs. And while there is certainly value in this kind of instruction, it is inadequate for a deeper level of skill acquisition. Take the case of language learning: a novice will be occupied with learning phonetic rules and recognising sounds in order to get a specific result (i.e., saying “read” versus “read” in the past tense). As the learner develops competence, she moves beyond meaningless sounds and begins to create and perceive phrases. As the learner develops proficiency, she can interact, producing whole sentences with subordinate clauses to describe, make requests or demands, and give orders. Finally, once the learner moves to more advanced stages of skill acquisition, she has facility with the language at a more unconscious, automatic level, getting by in various situations without focusing on the rules. What these stages suggest is that skill acquisition for language learning, particularly advanced stages, requires interaction with another human being. Communicative language skills are not inherent, in and of the person, they are evident by the effect they have on another person. These effects are only produced in interaction (i.e., making a request or demand of another person). Without the interaction required to know whether a learner is effectively making requests, demands and orders, she cannot confidently develop automatic facility with the language. In this case, digital technologies do have their limitations and passively receiving content knowledge is inadequate for true skill acquisition. Thus, in order for skill acquisition to occur — particularly in language learning — interaction with real human beings is essential. Simply having digital technology as the focal mechanism for delivering instruction is insufficient and will not lead to skill acquisition. On the other hand, human interaction does not, in and of itself, guarantee skill acquisition for language learning. There are many examples of teachers who are not proficient in English and are unable to facilitate learning, even in an in-person, classroom setting. Our field research in classrooms, from both public and private schools throughout Thailand, suggests that several factors help determine whether in-person instruction will help facilitate skill acquisition. First, how much language production time do students actually get? In larger classrooms of 40–50 students, learners simply do not get sufficient opportunities to produce language. Second, are teachers focusing on communication or rote learning and memorisation? Many of the classrooms we visited had students reciting and repeating phrases, but never using languages in any meaningful way to promote competence and proficiency. It’s entirely possible that even when human interaction is present, teachers do not provide opportunities for students to communicate. We have to ask ourselves whether the in-person teacher understands how to facilitate and has the pedagogy to encourage language pro- duction and skill acquisition. What’s flawed is not digital technology, but how it’s implemented in classrooms. Much of our policies — for example Thailand’s One Laptop Per Child policy — tend to overlook how much teachers needed to upgrade their own skills in order to use the technology to encourage skill acquisition. Moreover, do teachers have the proficiency to support a pedagogy that promotes skill acquisition (i.e., teachers creating lesson plans that provide guidance, independent practice and opportunities for students to progressively produce more complex language patterns)? Distinguishing between different pedagogical goals is fundamental to ensuring that digital technology fulfils its potential. When we deliver digital curriculums in schools, we balance digital content with in-person, active-learning classroom activities to ensure that skill acquisition happens. Digital technology simply fills one portion of the student learning experience, among many. Furthermore, we’ve created a hybrid English communications platform, where the goal is not to use digital technology to deliver content, but to facilitate skill acquisition from day one, by using technology as a medium to connect learners with communication coaches. 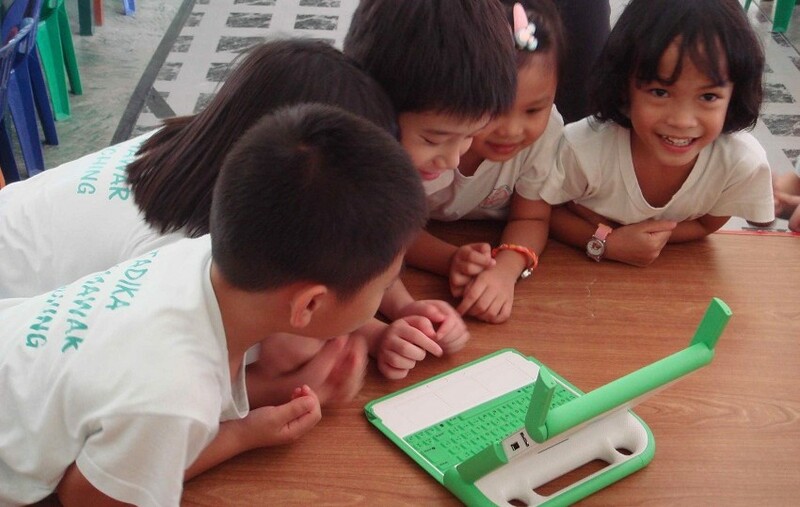 This reconceptualisation of technology is the result of years of trial and error in testing out the best way to leverage technology to improve language communication skills acquisition. Our testing has confirmed what educational researchers have been preaching for years: technology must be considered in context with pedagogy and content knowledge to be truly effective. Technology must be considered in context with pedagogy and content knowledge to be truly effective. In other words, only when we realise the limits of digital technology can we really unlock its full potential. It’s understandable that sceptics would question digital technology’s ability to facilitate language skill acquisition, but such scepticism is warranted only if one views technology as the primary medium of instruction (i.e. just for delivering content). A popular use of digital technology sees learners sitting in front of a screen, consuming content. We’ve seen this model work quite effectively for math and science. We’ve created quality curriculum and have delivered engaging content in biology, chemistry and physics, showing various scientific concepts through animation and real-life lab demonstration, all delivered through high quality production videos with digital assessments for continual student engagement. However, when it comes to teaching communicative English, using videos as the primary source of content proved inadequate. Digital technology, as the primary mechanism, could conceivably facilitate novice to intermediate stages of skill acquisition. There are a host of speech recognition and real-time video content to facilitate “basic production” of language (i.e., having novice learners produce sounds into a device). Many artificial intelligence-driven applications now allow learners to speak into mobile devices, where speech recognition software can assess accuracy to provide feedback. On the other hand, as the learner moves into competence and proficiency stages, speech recognition will no longer be sufficient. Communicating to make requests, demands and give orders will require human interaction — thus the role of technology shifts from the primary mechanism to facilitating the human-to-human interaction needed to further skill acquisition. Digital technology, therefore, proves itself to be a useful “facilitator ”of learning and skill acquisition, as long as it was used appropriately with a well-designed structure that ensures to incorporate human elements and interactions. Our goal has always been to be able to help people communicate with confidence at scale through the use of digital technology. This has forced us to question whether digital technology could actually facilitate skill acquisition. Moreover, we’ve had to ask ourselves whether in our mission to ‘scale out’, if we’ve overlooked‘scaling deep’. When the focus is on scaling out, impact is measured by numbers, replicating or expanding programmes geographically. On the other hand, with ‘scaling deep’, there is a shift away from knowledge dissemination towards transformative learning — the kind of learning more closely aligned with real skill acquisition. What we’ve learned is that digital technology can facilitate skill acquisition, but supporting conditions must be in place. First, content matters. We’ve learned that some subjects like math and science — particular knowledge-based portions — lend themselves to digital technology being the focal point of delivery. When demonstrable skills need to be acquired (i.e., being able to multiply or solve algebra equations or run a physics experiment), the role of digital technology as the primary delivery mechanism diminishes in importance. Second, pedagogy matters. When instruction is being delivered, digital technology is a fantastic resource (i.e., the popularity of flipped classrooms). However, during phases of guided and independent practice, particularly for language learning, we find that digital technology should play the role of connecting learners with coaches, rather than be the focal delivery mechanism. Third, in the case of language skill acquisition, the stage of skill acquisition matters. For novices and up to intermediate learners, a host of digital technologies (i.e., speech recognition software) can aid learners in producing language, but once the learner graduates to more proficient and advanced levels, technology should facilitate interaction with a live language coach. Of course, this assumes teacher-readiness in terms of confidence and teaching abilities. The next evolution of education technology is moving beyond scaling out, or providing access, to scaling deep. Finally, we believe the next evolution of education technology is moving beyond scaling out, or providing access, to scaling deep; ensuring that transformative learning takes places where norms and beliefs are shifted. Here, we think a key factor is the extent to which digital technology can be properly harnessed to facilitate skill acquisition. Dr Paul Apivat Hanvongse is a co-founder and Head of Education and Organization Development of LEARNx, a one-on-one online video platform for English language learning. He is also an adjunct lecturer at the Global Studies and Social Entrepreneurship (GSSE) programme at Thammasat University where he helps to grow future social-change leaders for a more equitable world. Mae Patteera Chaladmanakul is a Master’s degree candidate in International Economics and International Development at Johns Hopkins School of Advanced International Studies (SAIS). Prior to SAIS, she worked with the United States Agency for International Development (USAID) and interned at the United Nations Educational, Scientific and Cultural Organization (UNESCO). She intends to pursue a career in international development, with a specific focus on education, where her passion lies. This article was first published in THink: The HEAD Foundation Digest and reproduced with permission. The HEAD Foundation is a Singapore-based think tank that is focused on the research, policy influence, and effective implementation of education for development in Asia.